The one map to rule them all! 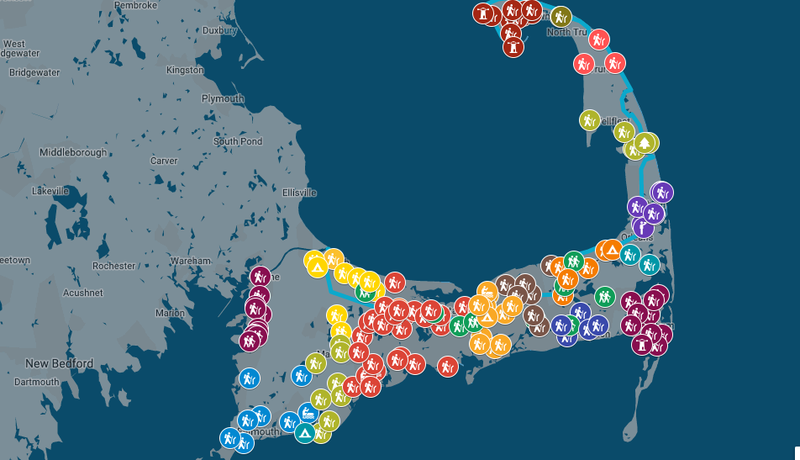 This interactive Google map has a mixture of Cape Cod trailhead parking locations and interesting destinations. On a mobile device click the square in the top right corner of the map to open it in Google maps and see your location. Trail maps and other information can be found in each town page. If you are looking to walk from one end of the Cape to the other use the Cape Cod Pathways Map.